These last days of warm weather are fleeting, so I've been outside when I can be. 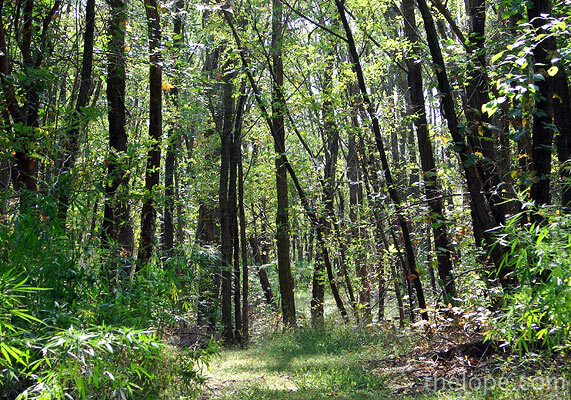 These photos are from a walk at Sand Hills State Park north of Hutchinson, Kansas, a couple weeks ago. 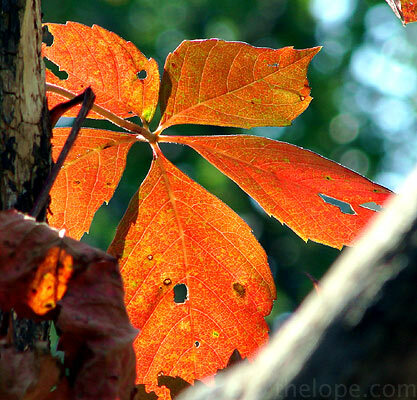 This Virginia Creeper was one of the few touches of bright red. 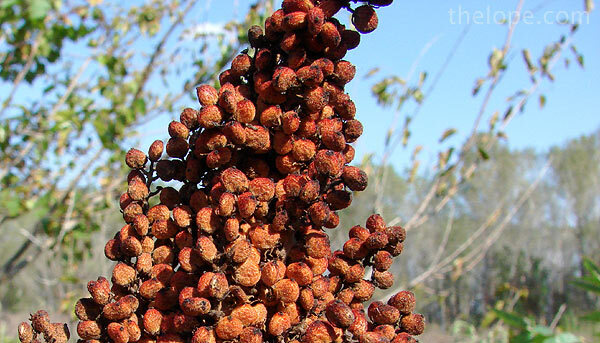 These dry, rust-colored berries offered a more subdued hue. Hedge apples are said to have the property of repelling crickets. I know of folks who've taken some home and put them in their basements. This is a top view of a fungus on the side of a tree. 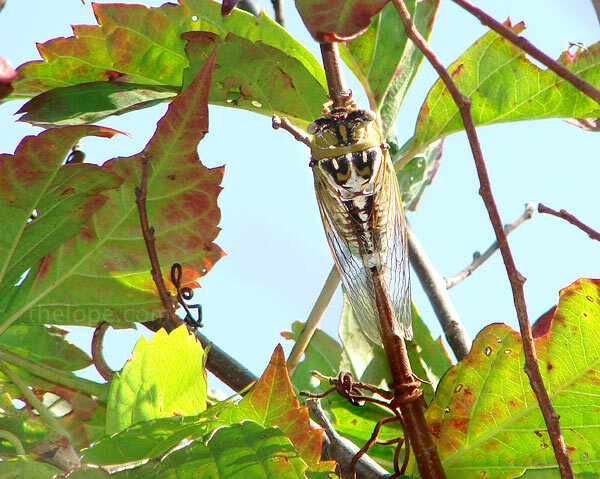 One of Kansas' larger cicadas (Tibicen dealbatus) trills from the top of a small tree. He wasn't alone that warm September 24. 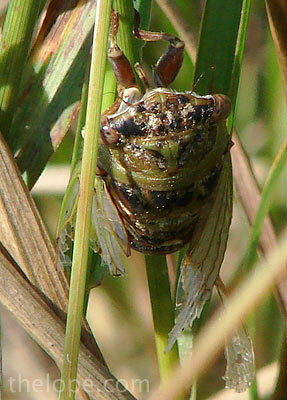 Today (October 7) is the first day I've heard no cicadas sing in Hutchinson. That was my little salute to Theodor Seuss Geisel - Dr. Seuss - who died on a different September 24 back in 1991. I saw many of those lizards scurrying about on the warm concrete parts of the trail, grabbing a few last meals before hibernation. Speaking of meals, it looks like this smaller cicada (Tibicen auriferus), may have just escaped being one. It took some wing damage, though. Not good. I'll have a whole post on cicadas, soon. It's taking a lot of research and email to correctly categorize and understand all that I've shot, but it's a delight...continuing education through blogging, you know. I recommend it.